The Young Professionals Choral Collective invites all kings, queens, jesters and music lovers to Cin & Tonics: Royal Intrigue. The organization’s annual fundraiser will offer guests an evening of pageantry and panache, beginning with a cocktail hour, silent auction and raffle. Dinner by the bite from local restaurants will precede the concert. Next, members of the Choral Collective will take the stage to perform everything from Michael Jackson (King of Pop) to Queen to Franz Biebl’s Ave Maria. The evening will culminate in a dance party led by The Cincy Brass. Tickets – $40 in advance, $50 at the door — include a drink ticket and desserts. VIP tickets – $95 in advance, $105 at the door – include dinner, three drink tickets and a cabaret performance by choir members. 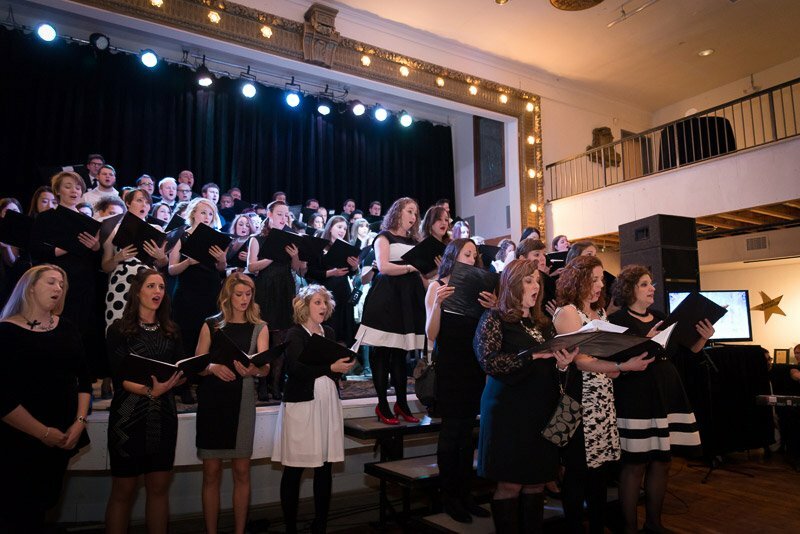 The Young Professionals Choral Collective is a nonprofit founded in 2012 by director KellyAnn Nelson. Most of its 800 singers do not work in the arts.